Can you imagine that you arrive in a hotel and that the well-meant first words you hear from the owner are: ‘You are causing a lot of problems for us’. No, we wouldn’t believe it either if it didn’t happen to us. Of course we had the choice to leave the hotel grounds immediately, but we didn’t. After all, we had made a reservation and a 'no show up' would undoubtedly have led to a cancellation fee. So, we decided to stay. After all it was just for two nights. You might ask why the hotel owner of the Islander's Inn on the tiny island of Union (part of the Caribbean island group St. Vincent & The Grenadines) was so rude to us. Well, the lead up to this incident started about a week earlier. 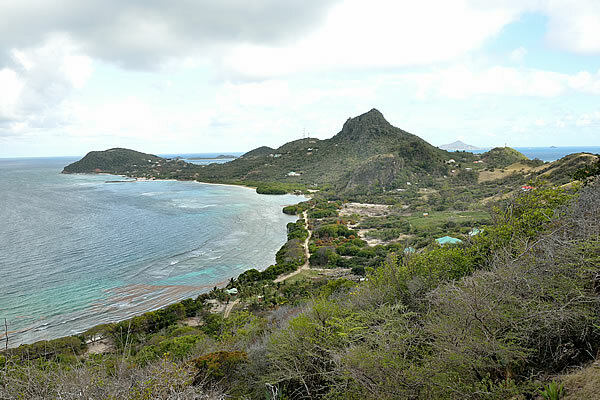 We stayed on the nearby main island of St. Vincent, when we decided to send an email to the Islander's Inn to confirm the sailing times of the public boat from Union Island to nearby Carriacou Island (part of the country Grenada). 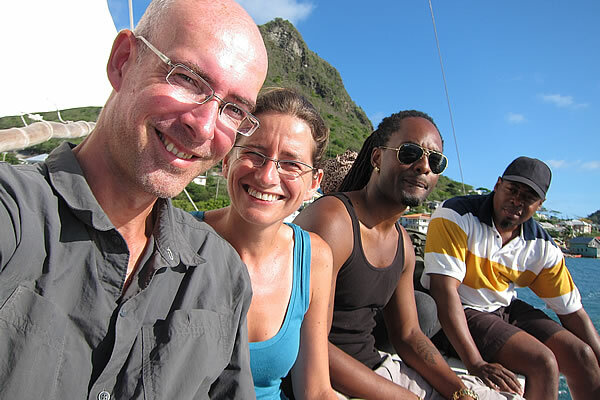 Our plan was to make the crossing on Thursday, April 2nd from Union to Carriacou with the public boat. That boat should go twice a week (Monday and Thursday) is what we had read somewhere on the internet. But since Thursday, April 2nd was the day before Good Friday, we wanted to have a confirmation that the boat would really go. The Easter holidays are seriously celebrated (everything closes) on the islands in the region and we wanted to ensure that we wouldn’t get stuck on Union for several days. Especially since we had made a reservation for the Easter period on Grenada’s Carriacou Island. A booking that we couldn’t cancel anymore. So we decided to send an email to the Islander's Inn on Union where we also made a reservation. The next morning we got an email back right away. 'The public boat is not operational anymore’ was the answer, so we were advised to rent a speed boat for the crossing of only 7 kilometres. Of course we were shocked immediately, because renting a boat in this region is an expensive business. To learn something more about the ins and outs of the speedboat, we sent an email back asking if the speedboat was going every day, whether we have to book one in advance and what it is going to cost. The following morning we got again a reply message. ‘The speedboat can be arranged any time, the Islander's Inn can make a reservation and prices vary’ is what they wrote. We wrote a message back because we still wanted to have an approximate quote. We don’t want to be a 'sitting duck' is what we wrote, of course accompanied with a smiley. If the hotel can arrange a speedboat for us, then they will also know what the price of the boat is going to be, was our reasoning. Since then we didn’t get a response anymore. This gave us an uncomfortable feeling. After nearly eight years of traveling, we know that when people avoid giving you the price of something you need, it is certainly not going to be cheap. Ivonne decided to call. The female owner of the Islander's Inn picked up the phone and Ivonne further explained that it was important for us to know in advance about the price of the speedboat. Of course, we do not need to have the exact amount; an indication is sufficient. The owner replied again that she does not know the price and that we should have to call the port for more information. Ivonne then stated that it is strange that they can arrange a speedboat for us but that they do not have any idea about the price. Union Island is a small island (approximately 2000 inhabitants) where everyone knows each other. 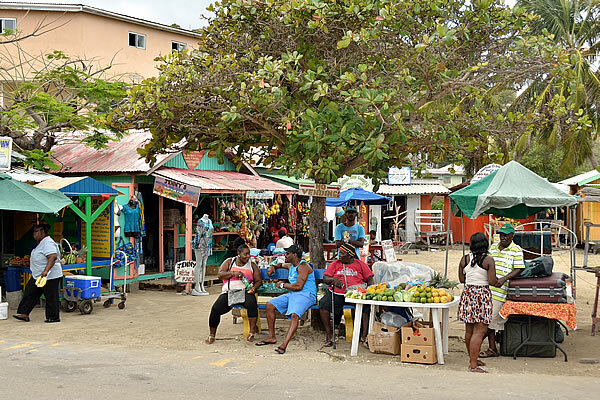 Then it's weird that they have no idea about the price of the boat, which also for local people is the connection between their island and the island of Carriacou in Grenada. Ivonne says she gets the feeling that the Islander's Inn wants to withhold the information from us until we get on the island and can’t adjust our travel plans any more (at the time we made the phone call we could still cancel the hotel for free). At that point the phone at the Islander's Inn was taken over by the male owner of the hotel. He told Ivonne that his wife knows nothing about the boats, but that he could tell something more. 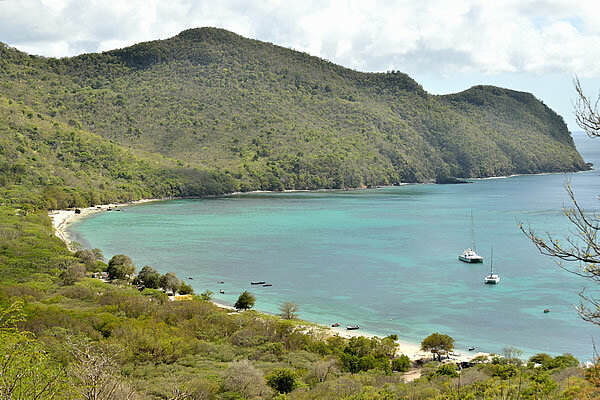 A speedboat to Carriacou costs US$ 130 (about 120 Euros) per person! And that for a trip of 7 kilometres which takes only half an hour. But, he assured us, he could provide a discount for us. In addition, he also confessed that there might be also a public boat, leaving the village of Ashton on Union on Mondays and Thursdays very early in the morning. That boat would cost around 40 East Caribbean Dollar (about 15 US$ / 14 Euros) per person. Why he eventually decided to give us some more information is not entirely clear to us. Just a pity that we really had to push for it. 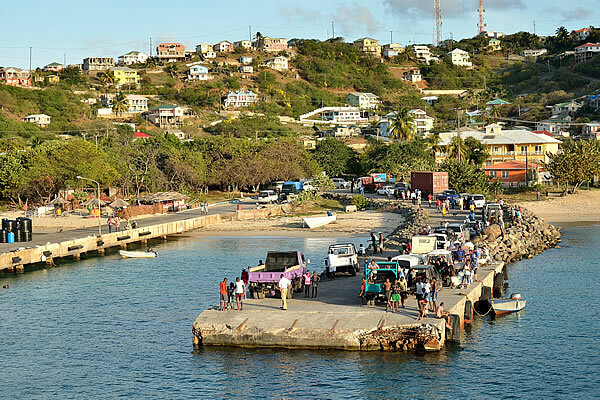 Anyway, eventually we decided to go to Union with the idea that the crossing to Carriacou on Grenada would cost us a maximum amount of US$ 260. We would get sick for a couple of days if we really have to pay this, but it's still cheaper than flying. The evening before we took the ferry from St Vincent to Union Island, we sent another email to the Islander's Inn to announce our arrival. 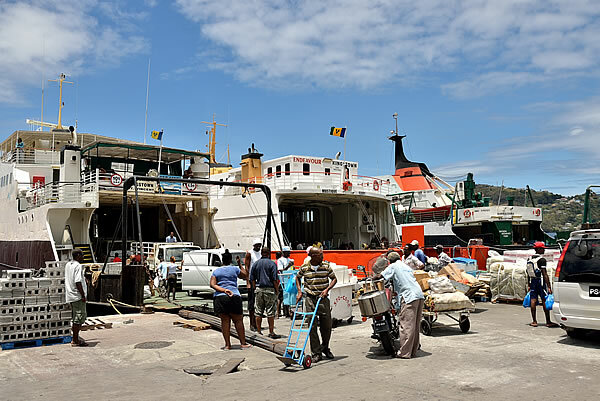 The expected departure time of the ferry named Gem Star is at 12 noon from St. Vincent, and that means that the expected time of arrival is between 8 and 9 pm, is what we wrote to the Islander’s Inn. However, the boat left more than two hours late, so we eventually arrived on Union Island just before ten o'clock in the evening. As we left the ferry and entered the jetty, we were approached by a taxi driver. He drives often for guests of the Islander's Inn is what he said, and he asked us if we were interested in the ride to the Islander's Inn. Evidently at our expense. We thanked for the offer and told him that we decided to walk the one kilometre to the hotel. After all, it's just a walk of about ten minutes. And when we arrived at the hotel things went uncomfortable. The owner was demonstratively positioned in a chair waiting for us and the first words he spoke to us were: ‘You are causing us a lot of problems for us’. At first we thought he was joking. But that was not the case. He attacked Ivonne because she had called them for the information about the speedboat. Ivonne was a stressed out person who wanted to know everything in advance, is what he snarled. Then he told us that he had arranged a taxi for us (although at our expense), and that we had rejected it. And to top it off, we also arrived at ten o'clock in the evening at the hotel, while check in normally closes at eight. Our argument that we unfortunately have no influence on the delay of the ferry, did not convince him. ‘This is not the type of person that should run a hotel’ is what we thought. If anyone here is stressed, it's him. After traveling for nearly eight years, we have never been so rudely welcomed in a hotel. We decided to stay relaxed and to avoid any confrontation. Union is a small island where everyone knows each other, so it is for him no effort to make our lives difficult, if he wants. The next morning we went immediately looking for more information about a possible public boat to Carriacou. And almost everyone on the island we asked was aware of it. ‘Of course there is a public boat ' is was we heard from several people. And when we asked them if the boat has ever been temporarily out of service, everybody said no. ‘The boat goes twice a week, all year round ' is what we were told. This is knowledge that must have been known at the Islander's Inn. Why they did not want to share that information with us is a mystery. It resulted in an unpleasant experience for both us and them. At the counter of the reception at the Islander's Inn is probably the answer. An advertisement states that the Islander's Inn does business with a speed boat owner that can take you to all the islands in the area. 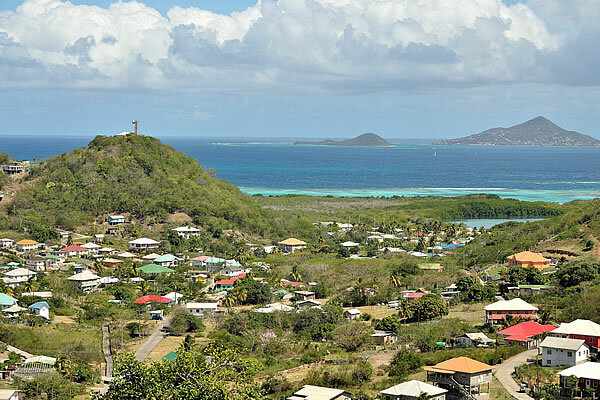 Undoubtedly also to Carriacou Island. But fortunately everything ultimately went well for us. We took the public boat at 7am in the morning with a handful of local people from the small village of Ashton. The ride was a little bit rough but fun and we ‘earned’ around US$ 230 (about 210 Euros) in around half an hour time.